In advance of the 30th year of the 1989 all-party commitment to eliminate child poverty by the year 2000, Campaign 2000 calls on the federal government to be more ambitious in its poverty reduction targets and timelines. The coalition commends the government on the first steps taken to reduce poverty but encourages bolder action to ensure Canadians do not have to wait another generation to see the end of child poverty. 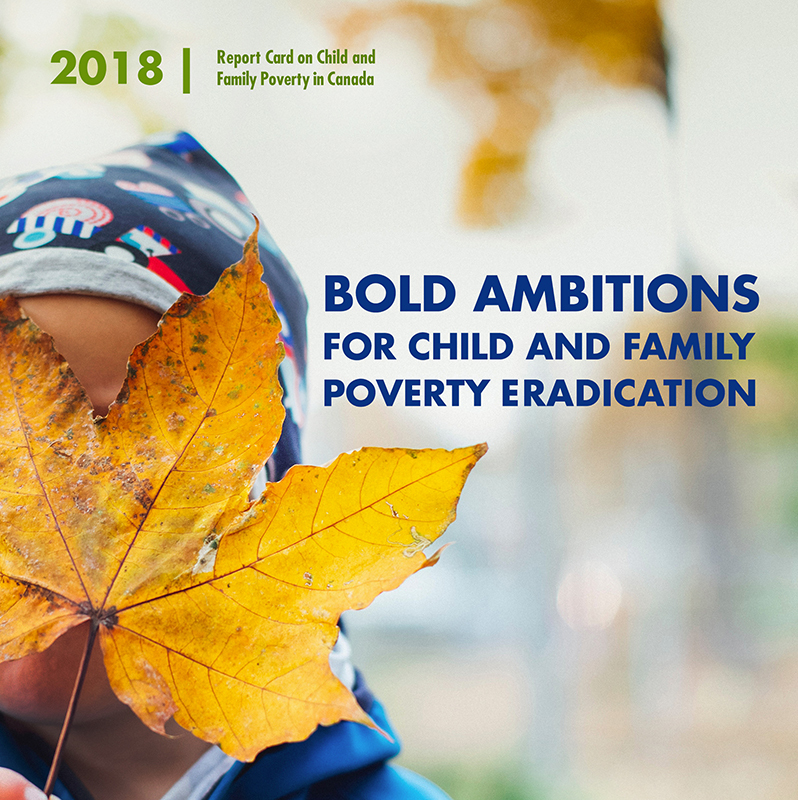 Released on November 20th, National Child Day, the 2018 national report card “Bold Ambitions for Child Poverty Eradication in Canada,” provides a current snapshot of child and family poverty and demonstrates the need for a costed implementation plan to eradicate child poverty in this generation. Ahead of the 2019 federal election, Campaign 2000 invites all parties to commit to the missing piece in Canada’s anti-poverty agenda: universal childcare. Without affordable, accessible, and quality childcare, parents cannot lift themselves and their children out of poverty.